Early Years-the organisation for young children with Doga School in Turkey, hosted an international online dialogue with 60 children on Safer Internet Day 5th February 2019. 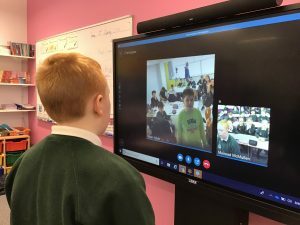 Forty 10 Year old children from Omagh Integrated Primary School, shared experiences about the online world with twenty children from Doga School in Istanbul, Turkey. What they discovered was despite the miles apart, they had a lot in common in relation to their online knowledge and usage. We look forward to further online conversations.